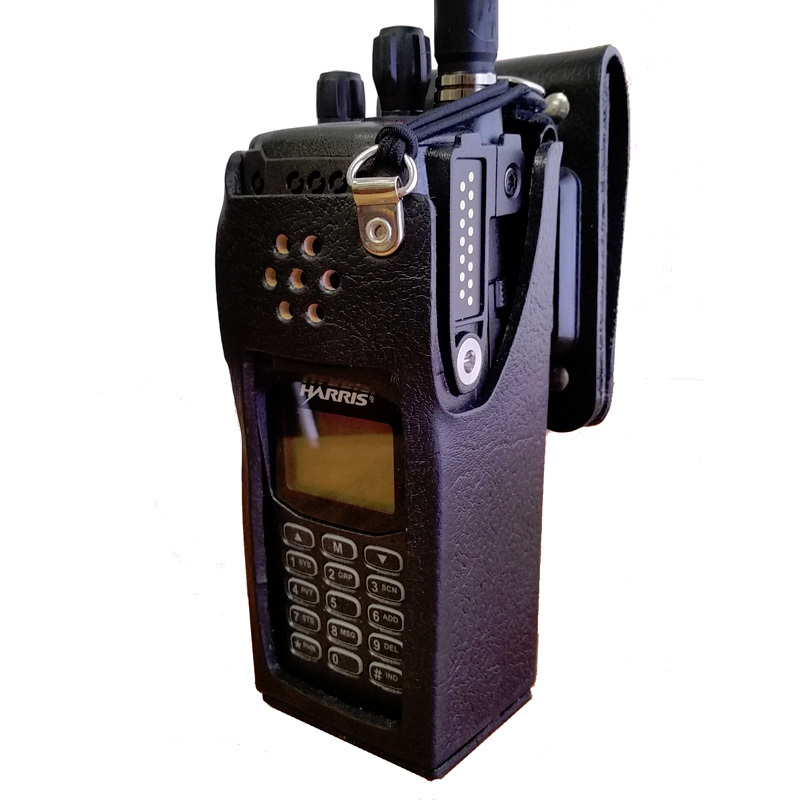 Dura-Pouch padded nylon case for Harris XG-75P radio. This model features full access to controls, while providing heavy duty protection. The top strap provides quick removal even with the speaker mic attached. The clear vinyl window protects the keys from moisture and dirt while providing full access. It features a turned edge to prevent fraying. 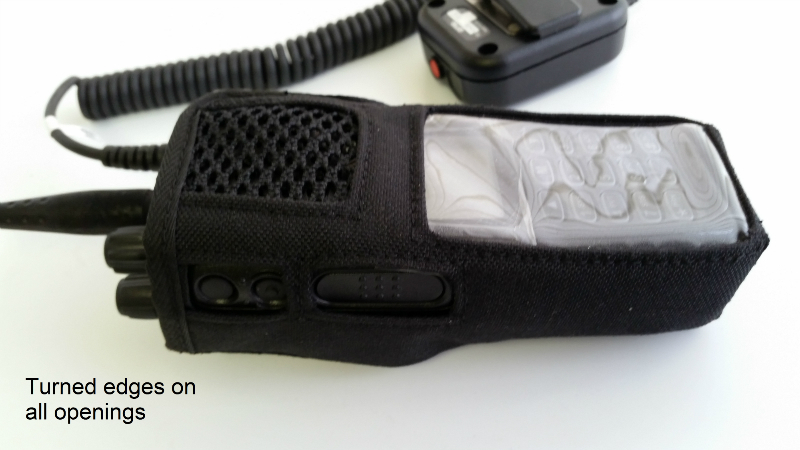 The material is 1000D black Kodra nylon laminated to 3mm of foam and a nylon lining. The openings for PTT and Monitor buttons are turned and stitched. It is hand made by our skilled assemblers. 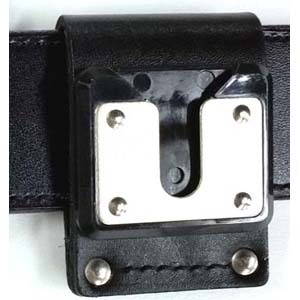 The standard belt attachment is a sewn-on belt loop. Shown with optional swivel stud attached. 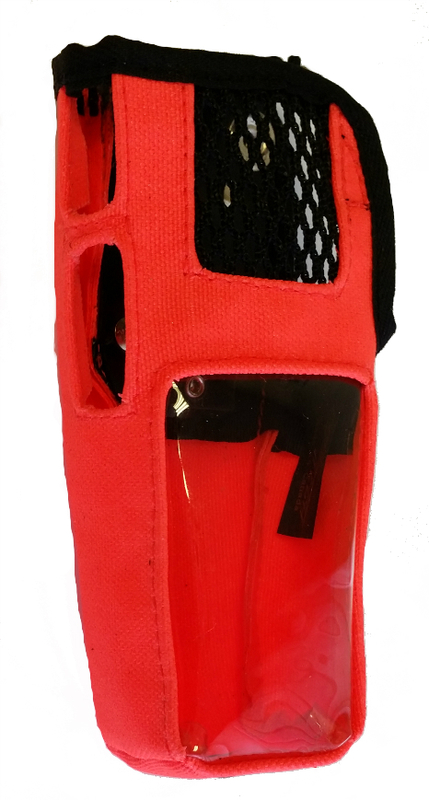 Note: The Blaze orange is not lined with brushed nylon since if wet, it will not dry as quickly. The case is designed for use by firefighters .